At Chapel House, we’re passionate about food and drink. We source the best produce and cook it simply, always with the view that food is there to be shared and enjoyed. 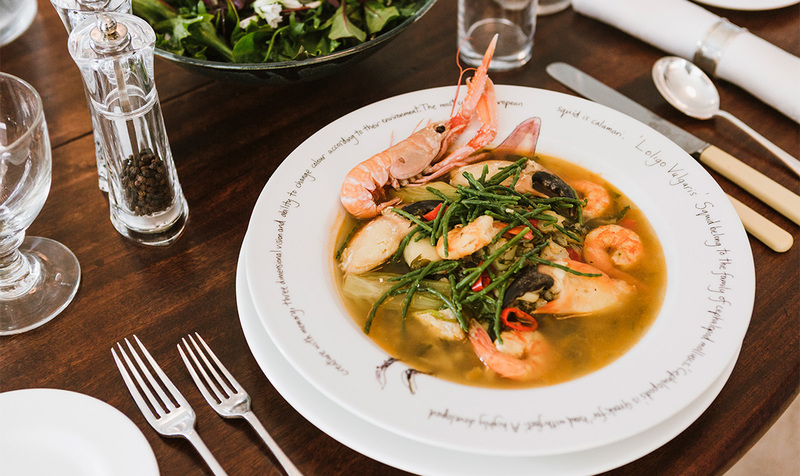 The majority of our fresh ingredients are sourced locally, and because West Cornwall has an abundance of truly fabulous local suppliers, our sourcing is certainly more than lip service. 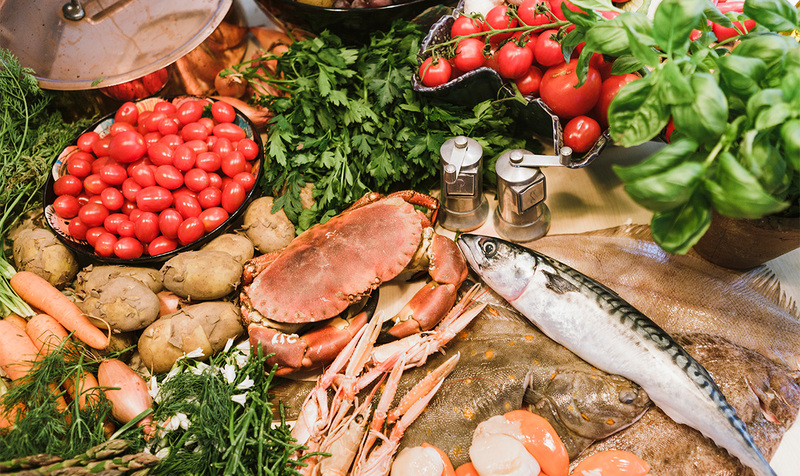 In fact, we love our ingredients so much that we bring in some of the best chefs from the area for demonstration cooking events, meaning that you can learn how to use Cornwall's finest and enjoy eating it. We also have seasonal foraging weekends and regular Saturday children’s cooking classes. Served from the crack of dawn to 10.30am. Freshly baked breads and pastries, Chapel House smoothies and preserves, locally produced traditional ‘English’ breakfasts, and a west Cornwall speciality: sizzled cod roe, smoked bacon, samphire and a poached egg. Light breakfasts - breads and pastries or a hot breakfast sandwich - can be brought to your room. For guests who want a lie in or to head back “up country” before lunch we provide a substantial brunch from 10am to midday every Sunday. The menu includes all the usual breakfast options plus some regular specials including kedgeree, devilled kidneys, eggs Florentine, smoked haddock and buttered samphire, and bubble and squeak…to mention a few! Sunday brunch is open to the public subject to booking at least 24 hours in advance. 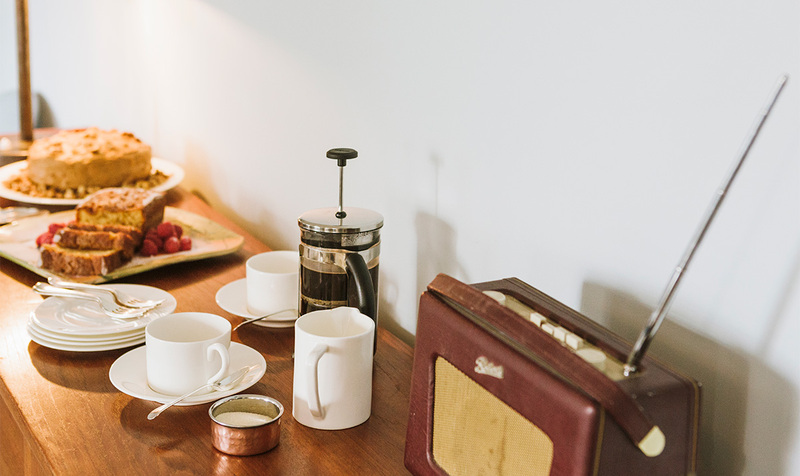 Outside normal meal times, our kitchen and dining room are open to house guests and well stocked with complimentary tea, coffee and cake - just help yourselves. We are also happy to bring you drinks and light refreshments in your room or out in the garden on a sunny day. From 6.30pm to 8.30pm every Friday and Saturday, enjoy early evening drinks (free for house guests) before sampling our Kitchen Supper, served from 7.30pm to 10pm. Choose from a short menu designed around the best seasonal produce for a relaxing end to your journey; or indeed, a hard week in Penwith. All you need to do is let us know 24 hours in advance that you want supper. All meals are served in the open plan kitchen dining area – Sunday brunch and kitchen suppers are around a large communal table and on sunny days you can choose to eat in the garden.